Mold resistant paint does not kill mold! But you can relax, the process of stopping mold is very do-able. A little elbow grease, a little mold killing primer (the good stuff) and you are ready to paint. Whew. I'm glad I stopped you from just painting over that mold! 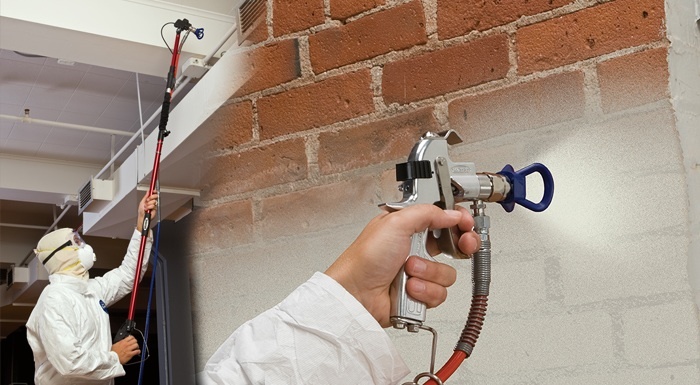 We know that everyone wants a one-step easy solution and Zinsser mold killing primer and mold killing paints sound great, but…is it really that easy? 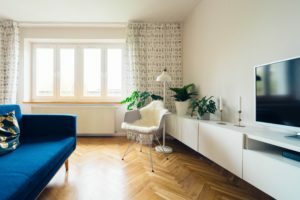 Will mold killing primer and mold resistant paint be enough to protect me? Mold inhibiting paint will not kill mold! The general name is ‘mildew’, and it will grow right through ordinary house paint: you must remove all you can, then SEAL it with a mold killing primer. It’s not the nightmare you were expecting, and we simplified it all here. Safety first: 3M's full face respirator mold remediation kit which you see just below…or use the painter’s workhorse respirator discussed in this post. After painting, inhibit growth another way in damp areas with a non-toxic spray that takes 6 months to wash off. This plus the special-mold proof-paint will make your life easier (and safer). Ceiling mold? Bathroom mold, garage or basement mold? You will use the same routine to kill and cover it. 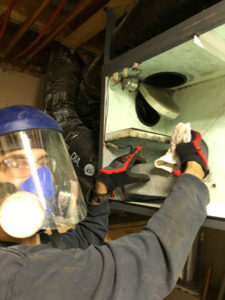 Ceiling mold may be the hardest on that list because it is over your head: you will need special protection for your eyes and face from dripping bleach solution and your mold killing primer and your mold resistant paint. If you have a very large area to treat, you can use a sprayer (please wear protection!) You would not want to use your garden sprayer here as the plastic will probably not handle the bleach solution well. Conversely, a sprayer that works with bleach will probably also be fine with garden solutions. Bleaching inside can be very deadly: choose from the respirators above. At the end of the post is a video of me breaking the rules killing some mold in our garage: I should have had gloves on, but could not wear a respirator and talk to you! When you hear about anti-mold paint, it is not a mold-prevention paint and certainly not a mold killing primer. Mold inhibiting paint can only resist, not prevent mold, You will make a fortune if you can invent a one-step mold killing paint! There is what is called a mold killing primer: Mold killing primer by Zinsser makes good claims, but let’s be reasonable. It depends on the situation. 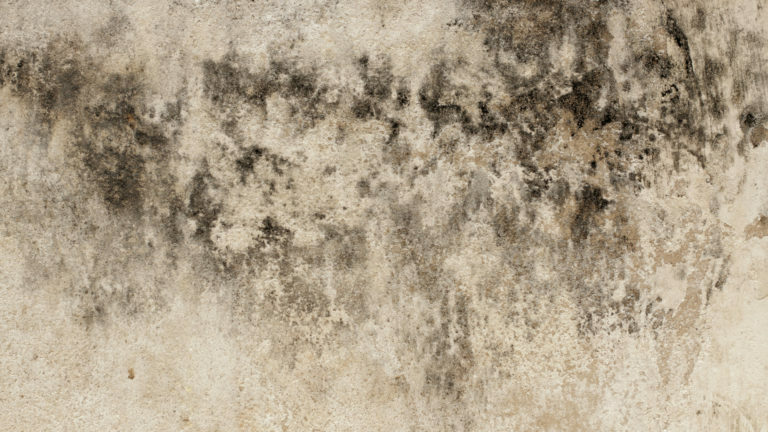 If you have powdery mold sitting on your surfaces, do you really want to mix that into your walls for the future, or leave it for someone else to live with? Just follow the steps above to paint over the mold and you’ll have peace of mind. Also, the stain mold leaves behind must be totally sealed or it will bleed through your latex paint. Zinsser Mold Killing Primer just says, “aides in covering residual microbiological and fungal stains”. Not good enough, sirs. For serious stains, get a quart of shellac-based BIN primer or by the gallon. We use it as overkill or as we say “Over Kilz”. Rubbing alcohol is the solvent. 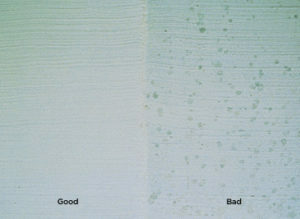 We have an entire post about painting over stains. It’s very messy so wear gloves and don’t inhale, Bill. Again, the respirators at the top of this post will protect you. 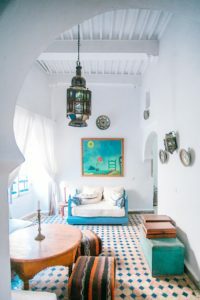 We follow our primer with the best mold resistant paint: the Benjamin Moore Aura mentioned below. 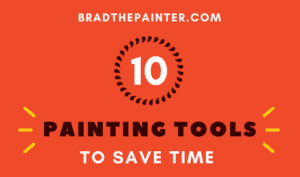 I have some other posts on the procedure for painting a room and some killer time-saving tips we learn as professional painters. Through my 30+ years as a painter, I have seen the trend change from “always semi-gloss in bathrooms and kitchens” to “anything goes”. The chemistry of paint today allows you to do whatever you want, but still flat and matte paints finishes are naturally going to hold water longer than shiny paints: but they look better! So most people compromise with satin and eggshell. If you keep a bathroom or high moisture area clean, you will not have mold and mildew growth. It’s actually the easy way. You will find some gorgeous bathroom paint colors on the internet. Keep in mind that smaller rooms benefit from lighter colors and more light inhibits mold growth. Mold paints do not kill mold! They inhibit growth. So after you do the prep described below, choose THE+BEST paint. We recommend using the best paints, as we have written, it is a money-saver and you don’t have to paint as often. It’s really a no-brainer. For bathrooms and other high moisture areas where mold loves to grow, we recommend Rust-Oleum. 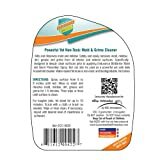 The technology behind it is a formula to lock out moisture and prevent or deter mildew/mold growth. Before you replace a cracked sink or floor etc, it’s worth a few bucks to try to seal it and a product I discovered at Home Depot Flex Seal paint. You’ll find Flex Seal at Lowes as well as online. I fixed my cracked garage sink with a liquid sealer and it kept me from replacing it! One Ingenious Pro Tip: Every time you dip a brush into a can of this nasty primer, you are sacrificing that brush. You don’t mind? Do you have a dollarstore brush or an oldie? Sure, but how many will you kill each time you spot some mold or stain that you know you must prime? What do pros do? We leave a crappy brush in the can for life. If the can is small, we cut or break the handle. After weeks in the can, is it all mushed up and bent? Yes So? It’s wet and ready! Unless we have a large area to seal, we don’t care. The brush strokes from a primer will usually flatten out when dry and if not, will sand fairly well. Faster…Better…ALMOST FREE! Certain mycotoxins can be harmful or lethal to humans and animals when exposure is high enough. An easy way to prevent the growth of mold in dark and/or damp areas in your home is the use of a UVC lamp. Research shows that UVC lamps kill mold, the airborne allergens, bacteria, viruses and protozoa in your home or office. Ultraviolet light breaks up the DNA of mold and mildews which results in the sterilization of the mold. We tried a hospital style UV wand but found that it gobbled up batteries, then even with new batteries did not work anymore. Now we are testing a compact germicidal fluorescent bulb in our mold areas. More later on this! Just be glad it’s not the old days when they put mercury in mold paints as a fungicide. Black, gray, green, brown, it’s moldy and it stinks and it’s a health hazard. 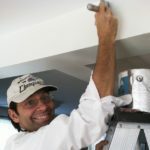 Don’t just paint over it even with a mold killing primer and a mold resistant paint: you have to clean it safely first! We used this mold test and found penicillin and one other: not deadly, but just sayin’. PS read about mold and mildew on Wikipedia, the Overlord of us all. Let us know in the comments if we left anything out. Thanks. Thank you so much for the articles on your website! I am in a very difficult, scary spot. Gut after Hurricane Matthew, less than a year later gut after Hurricane Irma. I was told the drywall was primed and ready for painting. It is not. That is not just my opinion. It is the evaluation of professional painters. It was my pleasure to help: 35 years go into my posts. If you still have moisture, be careful not to seal it in. Mold grows inside the walls too and it is a dangerous thing. Some lawyers will give a free consultation and might be able to help insurance companies part with a few extra coins. It was very kind of you to acknowledge my message. You’re absolutely right! 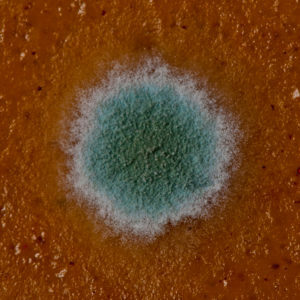 Mold is a scary, serious, nasty issue. Hurricane Matthew: (more water) insurance company said 4 feet down but I had the entire house gutted to the studs. I didn’t want to wonder if anything was growing, anywhere! Hurricane Irma: (stronger wind) new roof down, top to bottom and much more energy efficient. My issue is a pretty bad finishing job on the drywall. Humps, bumps, mesh tape showing through, the whole nine yards. In Colorado (I was there for 20-ish yrs) most walls in homes and apartments are textured. I always preferred it but I’m in a home now where it’s normal flat wall, so it’s not worth texturing. 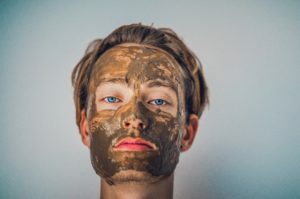 With texture, you don’t need to sand much of the taping mud, just basic smooth and then they spray the mud, let dry and in new construction or like yours, they would spray paint just because it’s quicker: at least the primer and ceilings. If you have no furniture etc, you can mask the newly painted trim then paint walls almost up to the ceiling, then you are almost done. But the roller is fine too. If you hire a guy to spray, get an older painter: over 40 who has been in it a long time! I live now in a seaport city where for 10 yrs I don’t think I’ve seen the humidity go below 50%. This summer I had a leak in the room where my well enters the house…blah blah, but the point is I pulled out some very moldy sheetrock near the floor. The studs behind had no mold to my surprise. The backside of the rock had just a little at the bottom where it soaked up water several times. So again, your studs are probably fine. You could test in spots by cutting holes with a hole saw and look with your phone’s camera stuck into the hole with a flash…easy to replace a hole. This guy is doing a lamp but it’s the same thing. Thanks for the information. I have been battling a few areas of mold/mildew in our fixer upper (due to a refrigerator water line break). I have found that using Concrobium to clean the moldy/mildew areas first and then let dry before applying the Zinnser Mold Killing Primer. Is that what you would say is the best? Also, how long would you recommend letting the area dry between the cleaning process and laying down the primer? Hi Steve, yes it seems like a good plan. If this reply is late in reaching you, sorry, but how did it go? If not, you should have no problems if you paint any water-based paint or primer on a dry surface. If the wall is wet deep inside, that is different, but I suspect you just had mold on the surface…let’s hope so. You can always dig out a spot and look, then fix the hole with spackle. Yes the Zinnser is the best on the market. I am having a mold issue throughout my house. I noticed a spot on my baseboard and by the next week all of my wood furniture seemed to be covered in green mold. I live in Florida in an older home with a crawl space and terrible ventilation. Right now I am battling the mold inside my dresser. What is the best product to use to seal the mold inside there when it is MDF? I cleaned it with a mold killing spray and bought flex seal but am now wondering if I bought the wrong product? Thank you for your help. Sounds ok to me if you used a primer with lots of stain killing power. See the post on primers…not all are created equally. I probably would have used a brush with the liquid and not a spray as the cost is much less and spray is so nasty.. but in any case…go ahead with your next coat. Start over an area you know had bad staining/mold and let dry. See if it bleeds thru. Depending on the stain killing primer, it will probably not. Any suggestions for mold forming on patio steel ceiling?Open on all sides, but ceiling has no areas of ventilation. Hi and thanks for writing. You already have your finger on the problem, no ventilation. Outdoor paint is needed here, so I’d scrub with a bleach solution (wear a respirator…see my post on that), then prime with KILZ General Purpose Exterior Latex Primer, then outdoor paint…then…. of course, you have to get some air moving. A dehumidifier would be a last resort if the space is really air-tight. Remember, you are breathing that mold…your ceiling is like a canary in a patio coal mine showing you what is in the air. Good luck.